Forster Rohner, a Swiss family run embroidery business for over 100 years, is sewing its way into e-textiles with beautiful, intricately embroidered conductive fabrics. 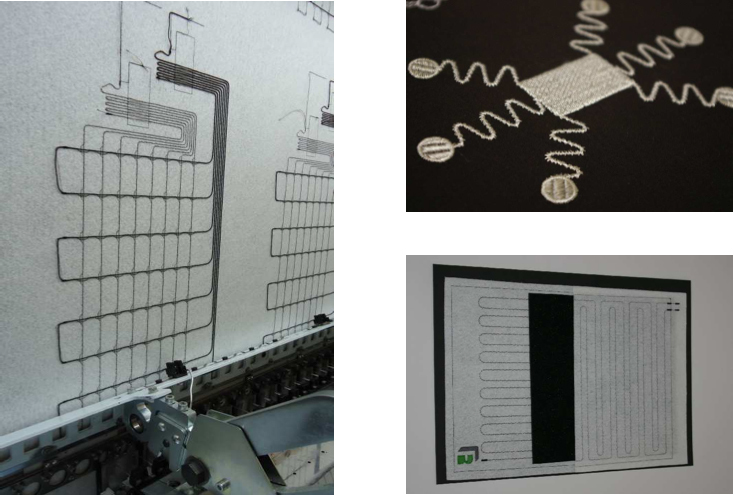 Using custom embroidery machines, Forster Rohner is capable of creating large production runs of custom e-broidered textiles that can be used as sensors, heating elements, or conductors for electronic components such as LEDs. 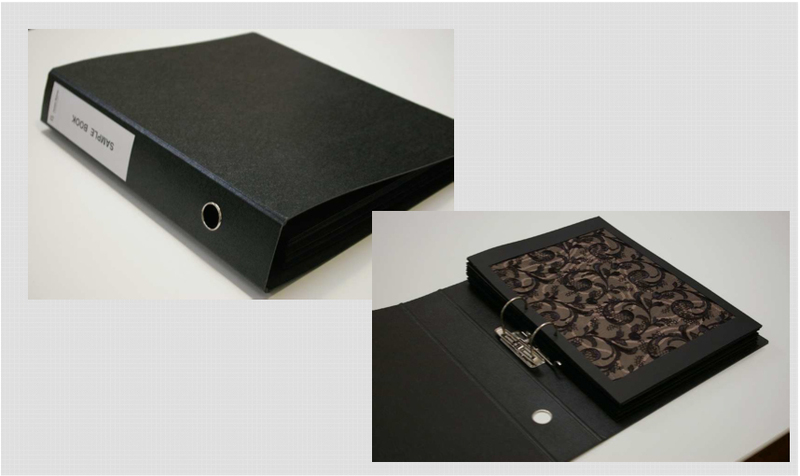 They have tested and analyzed over 100 different conductive yarns for their properties such as conductivity, washability, and durability. 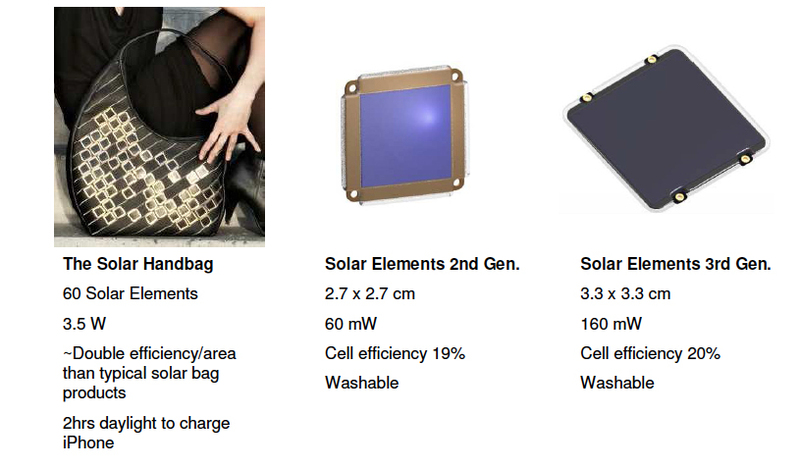 solar-powered handbag that will be available this Spring. 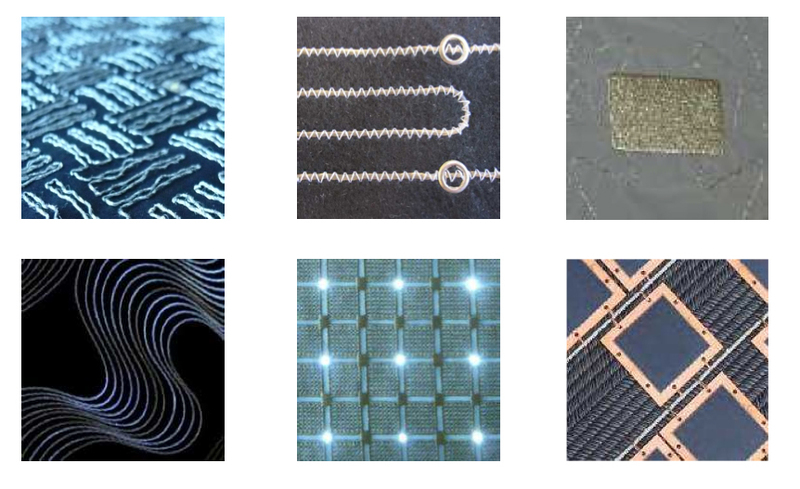 In addition to e-broidery, the company is also doing research into developing miniaturized custom electronic components (LEDs, Solar Panels, etc) that can be used in the e-broidery process. And yes, the solar panels and LEDs are indeed washable. 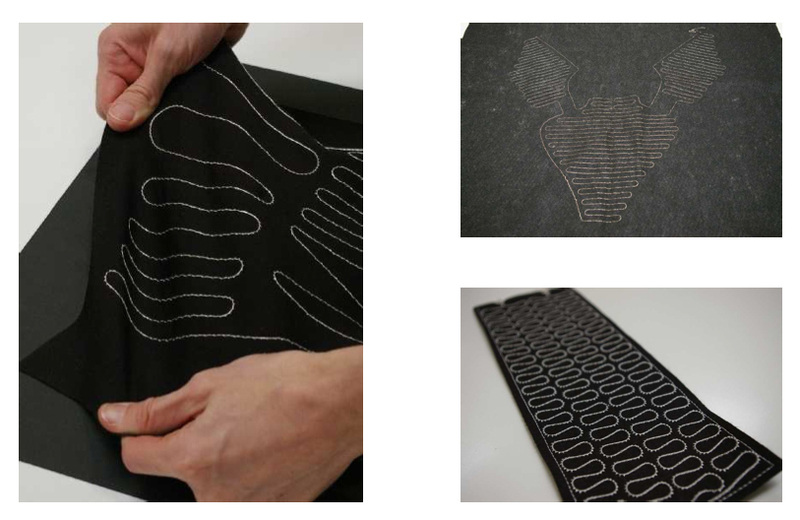 Although some of the concepts around embroidery and conductive threads have been explored for some time in the DIY and academic communities, what Forster Rohner has remarkably achieved is to industrialize and refine the process. The most breathtaking piece was a gorgeous bustier embroidered with LEDs. 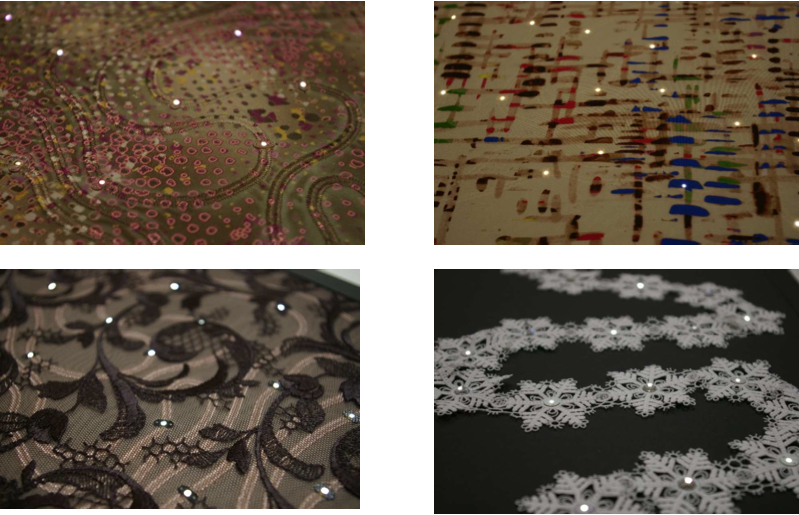 The conductive embroidery was delicate and impeccable and the tiny LEDs — when off — appeared to be tiny little sequin. Flipping through the e-textile swatch book was a transformative experience: Any skepticism I had about technology being adopted by the fashion industry quickly slipped away. Fashion designers may not really be interested in conductive threads but they are interested in beautifully crafted innovative textiles with a couture polish— and Forster Rohner offers just that.